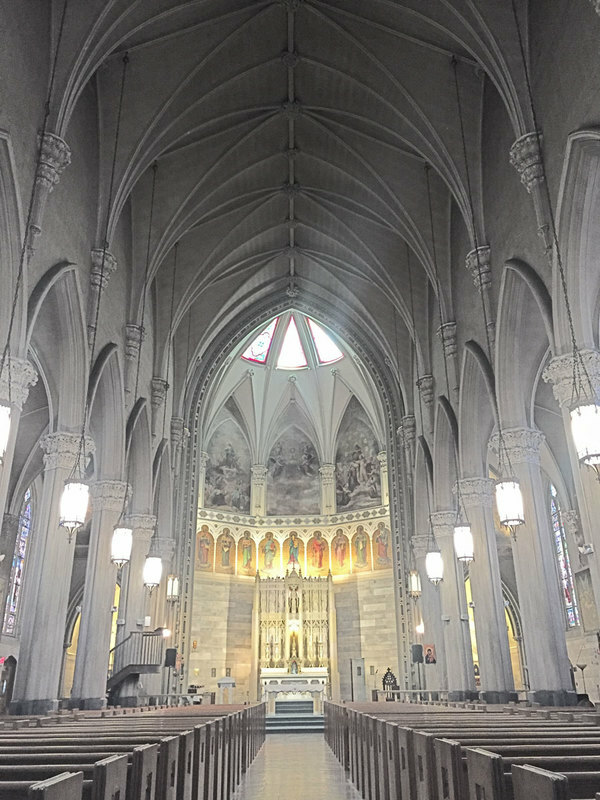 St. Mary's is a Gothic Revival monument to the Irish history of Providence. As textile mills changed the industrial landscape of the city in the early 19th century, Irish from Ulster came to work in those mills, many just down the hill in Olneyville. Facing discrimination from Yankee Providence, the lot for St. Mary's had to be purchased through an intermediary. At the end of the Civil War, a full third of Providence's residents were native Irish. The stone church, designed by Irish-born architect James Murphy, was begun in 1864; much of the labor, including digging the foundations and cutting stone masonry, was done by the Irish congregation, coming here after a long day in the mills to donate their work to the construction of this magnificent act of faith and community. The church, consecrated in 1869, became the heart of a complex of schools and convents, but has adapted to the city’s changes. The parochial school is now owned by the city. The convent has become office space. Spanish language masses occur as well as English. 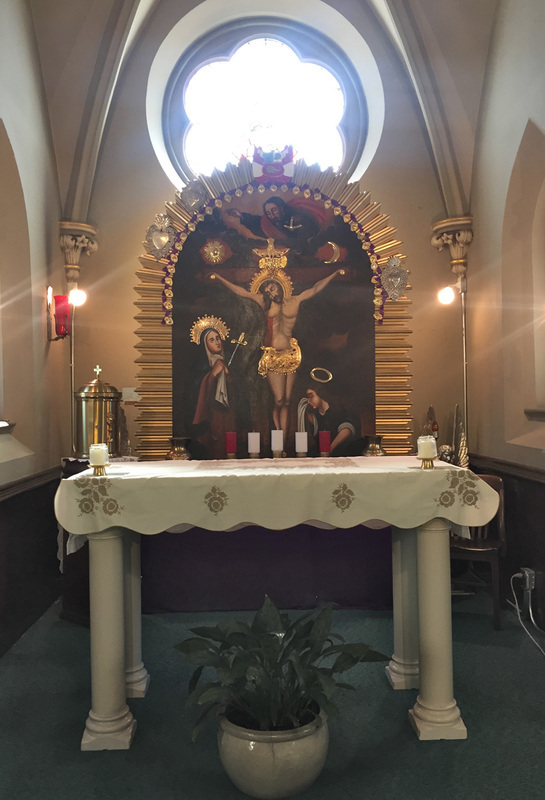 A chapel is dedicated with Peruvian icons brought by the new congregants, one of many Latin American countries represented in St. Mary’s 21st century congregation. 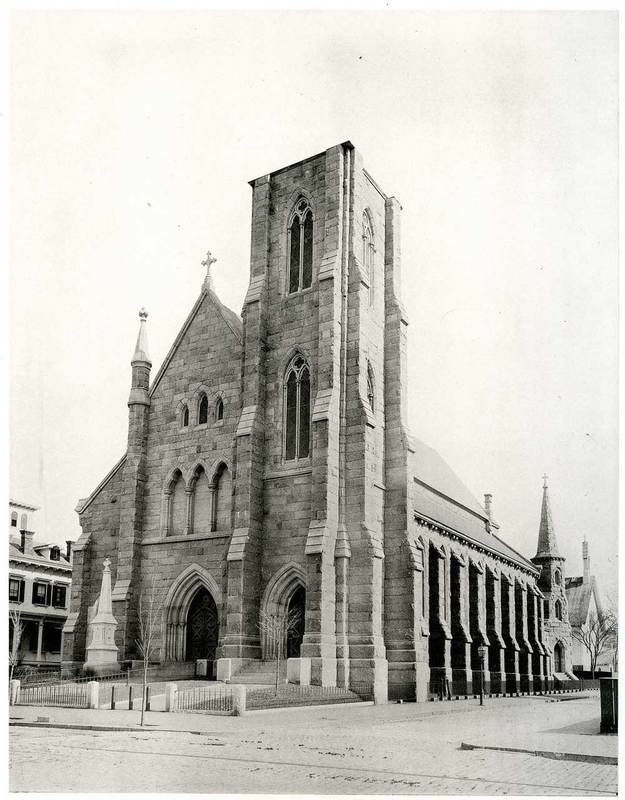 St. Mary's Catholic Church: This is an early image of St. Mary's Catholic Church with an unfinished tower. The original 1853 church is visible on the right behind St. Mary's. ~ Source: Rhode Island Collection, Providence Public Library. 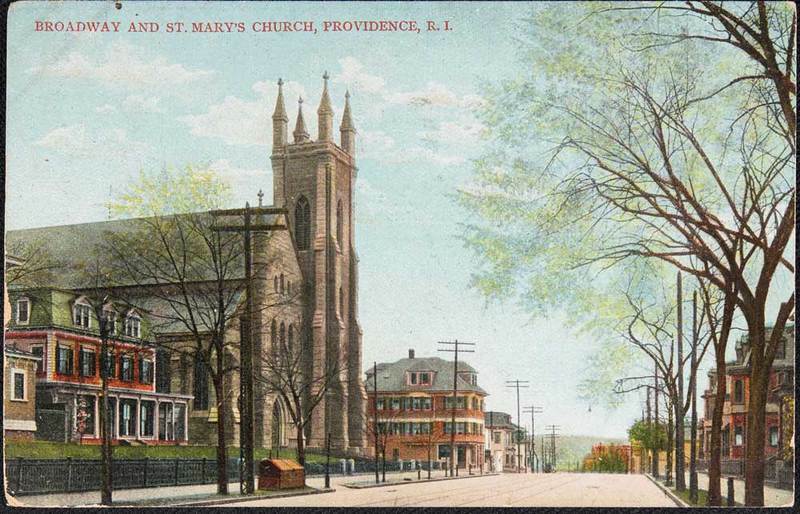 Postcard of St. Mary's: This postcard from the turn of the century shows St. Mary's with a view of Broadway. ~ Source: Rhode Island Collection, Providence Public Library. Taylor M. Polites, “St. 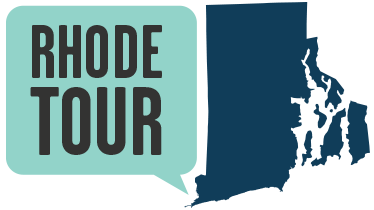 Mary’s Catholic Church,” Rhode Tour, accessed April 21, 2019, http://rhodetour.org/items/show/168.